Discerning features: Huge, overlarge black wings. Somewhat dished face, refined build. Brennen is typically reserved and rather stoic, and he has a tendency to keep to himself. He is very loyal to those he loves, and loyal to individuals, but not so much to the 'idea' of things: for instance he is very loyal to the Tundra, but not necessarily to all of its Kings. However, he is very loyal to some of the Kings as individuals. He is slow to anger (unless someone or something he loves is threatened), but he can be very violent once his temper reaches that flash point. He has a soft spot for all children, but especially his own. He is a warrior because he is good at it, not because he particularly likes the violence. Brennen has a dry sense of humor and is typically friendly, despite his stoic reserve (if he were a person, we'd call him an introvert who can blend very well into society but takes frequent breaks to be by himself). He absolutely loves women, he admires them and appreciates them, and in general tends to flirt a lot and sleep around, but every so often he will find a mare he truly loves/likes and be loyal to only them until either they leave him or they die. Brennen was born and orphaned on the Beach. He raised himself as a child, wandering in and out of the Beach but not really interacting with others. His only family were the crows who called the beach home, and the flock practically raised him. At the young age of two, he journeyed to the Tundra and there he discovered that Texas (the King at the time) was his father so he decided to stay. He has been loyal to the Tundra ever since. When he was three he represented the Tundra in the Gladiator Competition and won the power of Bone Bending, as well as being one of the last three finalists. During his young adulthood he also fell in love with Lucitania and has loved only her ever since, though sometimes he found himself fond of other women as friends, and often bore children with other mares to try and populate the Tundra. He adores his children, and wants to get to know them, though he keeps his word to mothers whom he says he will not bother if they have fillies. Brennen took fourth in the 2012 Alliance, winning the power of Ice Manipulation. One of the three he lost to was his own daughter, Bethanie. He was made General of the Tundra and continued to serve it. One of his most notable friendships was with Falls Queen Neraza, mother of Bethanie. Neraza was also the mother of Sorenson, though it was later discovered that she swapped Sorenson at birth for Lucitania’s filly, whom she named Alisdaire, and raised in the Falls. Brennen was not angry with Neraza for very long because he understood her dilemma in having a son instead of a daughter she could raise in the Falls, but she was banned from the Tundra. Before Neraza died, he pledged on their lifelong friendship to watch over her Falls and her children, and he kept that promise as well as he could until the Falls and the Tundra were no more. He loved Lucitania until she died, even though they were not speaking because of the foal swap disaster. 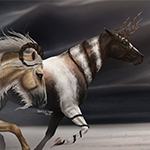 After Lucitania’s death Brennen became dissatisfied with the Blood Alliance and the Tundra’s place in it and he began to plot, with the aide of his granddaughter Gaelen, to overthrow Arcteryx and take over the Tundra. However his plans fell flat when he realized that he could simply wait for Arcteryx to die or step in if something bad happened, and he fell dormant in the Tundra at this time. After Errant took Arcteryx’s place as King, Brennen re-emerged to serve the Tundra. He went through the new initiation caves and started training once more. After a while Errant promoted him back to his post as general. He lived loyally in the Tundra for generations, serving as warrior or general where necessary and raising many of his own children and grandchildren. During Errant's reign, Brennen led the Tundra's Army in support of the Deserts against Elite and the Valley. He served Errant and then served as Regent for Errant's son and grandson, Ianto and Layton. In the meantime, he loved and lost the Deserts magician Morphine. The Tundra changed hands several times, ending up in the hands of the madman Mountain; Brennen supported Errant in an overthrow of Mountain, placing Errant back on the throne. After the Reckoning, Brennen was bereft for several years with no Tundra to serve and no purpose anymore to his life. He raised two of his granddaughter's daughters, and finally decided when they became young adults that they couldn't live in the Meadow and mourn the loss of the Tundra and Falls forever. He was recruited by Djinni to Nerine, new home of the Amazons, and tried to settle in there. He stayed for a while, starting to work with the Army, and came across a boy in that time named Amet. Amet took control of a Kingdom, called Hyaline, and Brennen helped him to become leader, establishing it as a subkingom of Nerine intended for training and raising children, due to Brennen’s own soft spot for children. It was essentially meant to be a feeder Kingdom for other Kingdoms, as well as a safe haven for the young. Amet did very well on his own and so Brennen wandered apart from both Nerine and Hyaline, eventually coming to settle in Ischia instead, where he was joined by several of his descendants along with his current paramour, Galilee. When he arrived on Ischia, they chose Circinae to represent them as Keeper. When Circinae grew tired of ruling, a magic shell chose Krone to lead them and Brennen gave her a chance, but slowly became disillusioned by her lack of dedication and how Ischia did not grow under her rule. At the same time he came across a few Brothers from before, and started to think again about a new Brotherhood. When his old friend Scorch and her friend Hestia, now Queen of Nerine, offered to back him, Brennen began to plan and recruit, and in year 196 he and his new Brothers mutinied, voted Krone out, and Brennen took over as King of Ischia. During this time he also competed in, and won, his second Alliance, and was gifted with Water Magic. 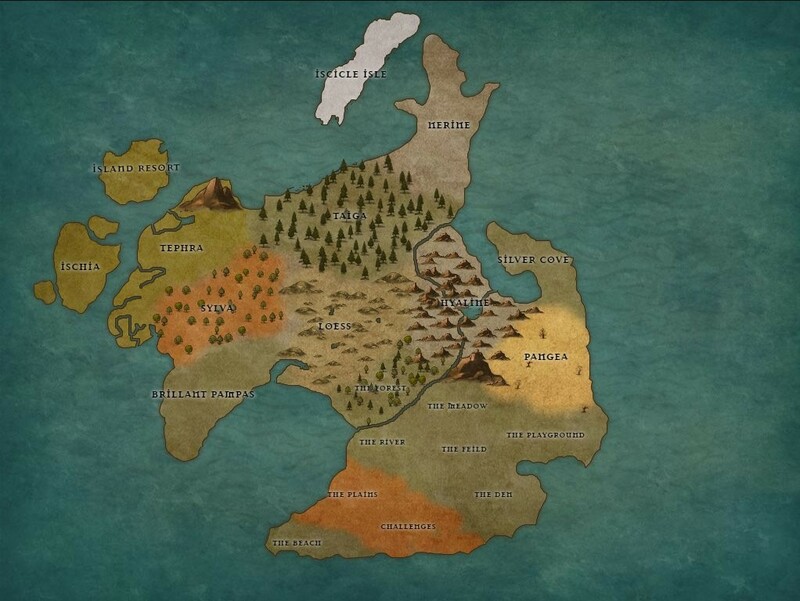 A strong alliance formed between Ischia, Nerine, Hyaline, and Tephra; formed partly of family bonds, partly of strong friendships, and partly in unease over the things happening in Sylva and Loess. Things came to a head when someone, in order to impress the King and Queen of Sylva (the Queen Brennen's own daughter Astarael), murdered two of his other daughters, Alonwy and Khaeli. Email: Send Brennen an email.